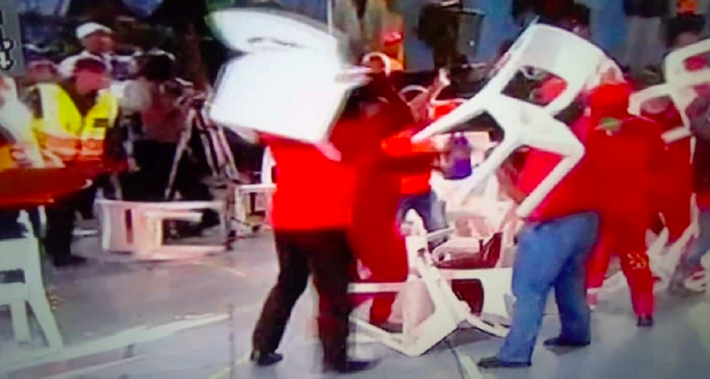 On Friday, an election debate went viral on social media after EFF supporters started throwing chairs. An election debate in Hout Bay, Cape Town descended into chaos on Friday as supporters of the EFF threw chairs and participated in a huge disruption during the televised exchange. Residents of the coastal town gathered at the Hangberg Sports and Recreation Centre to voice their frustrations to respective regional political leaders, tackling topics ranging from land expropriation to unemployment and crime. EFF sources say they were provoked by the newly-founded Land Party, claiming that their comrades had to act in self-defence once chairs were thrown towards them. Videos of the incident have gone viral on social media.